President Donald Trump is calling the relationship between the US and Vietnam an "example" of what can become of North Korea if it gives up its nuclear weapons. Mr Trump paid a courtesy call to Vietnamese president Nguyen Phu Trong ahead of his second summit with North Korean leader Kim Jong Un in Hanoi. Mr Trump said: "We both felt very good about having this very important summit in Vietnam because you really are an example as to what can happen, with good thinking." The Vietnamese leader said his country has "been making all necessary preparations to ensure the best conditions for the success of this very special meeting". 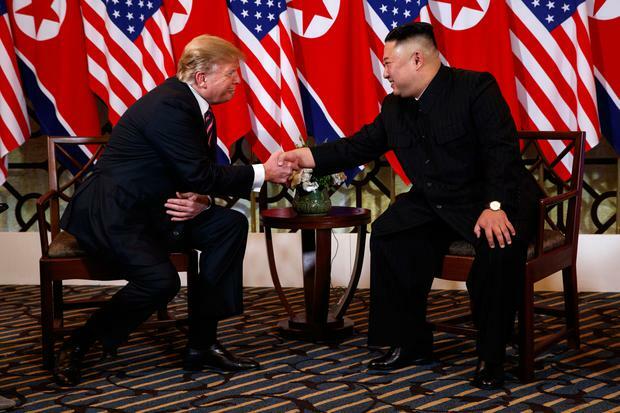 President Donald Trump and North Korea's Kim Jong Un have met in Vietnam in the second summit meeting between the leaders. The meeting, sealed with a handshake and laughs, came ahead of a meal with discussions expected to build on last year's breakthrough meeting in Singapore. Ahead of the meeting, Mr Trump expressed his hopes that North Korea could develop a strong economy in exchange for denuclearisation. Mr Trump told reporters: "We look forward to it, we both do." Asked whether he might formally end the Korean War, he responded: "We'll see." 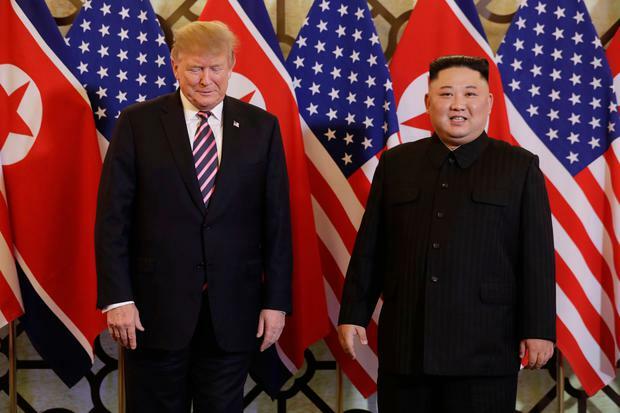 The US president added: "We'll see what happens, but he (Mr Kim) wants to do something great."